Myanmar or Burma: Can the West Help? Does God Believe in Human Rights? 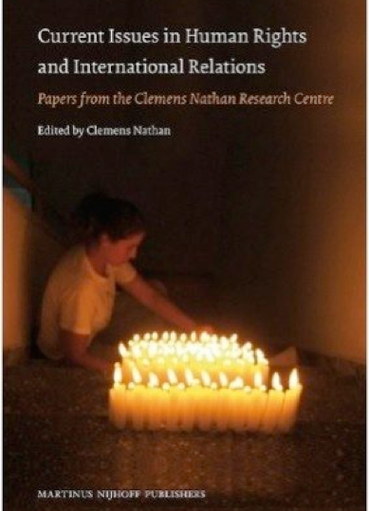 Following its creation in 2004, initially as the research arm of the Consultative Council of Jewish Organisations (CCJO), and later in a more independent role, the Clemens Nathan Research Centre (CNRC) has rapidly become an important element within the Human Rights movement in the United Kingdom, and beyond. A striking feature of the CNRC’s work has been its organisation of a series of very successful multi-disciplinary seminars on topics related to Human Rights, and to international relations. This book comprises many of the papers presented at these seminars, as well as two public lectures linked to CNRC/CCJO activities. The papers and lectures reflect the high quality of the materials produced for CNRC projects, and are distinguished by the broad range of experience of the contributors, who include academics, clergymen and senior officials of international organisations, as well as military officers of the highest rank and civil servants at the heart of government decision-making. The publishers are pleased to be able to give those who have been unable to attend CNRC seminars the opportunity to enjoy and be enriched by this selection of papers.